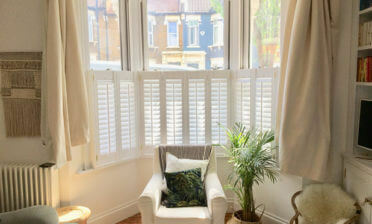 A client came to us looking for some shutters to be fitted to the front of their home in Beckenham, Kent. Our shutters were appealing to them because of the adjustment of light and privacy that can be attained using shutters from any of our range. They also offered a great looking solution that could be bespoke created to fit around the angle and position of the windows. 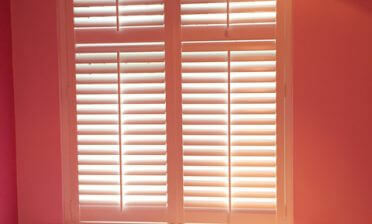 The shutters were made up of five split Tier on Tier sections with four facing forwards and one to the side. 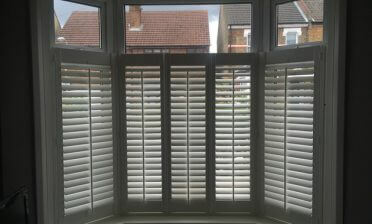 Because we custom make all our shutters we could create the panels to work with the exact style of window with millimetre accuracy stopping light bleed and acting as further insulation for the room. Using Tier on Tier Shutters allows for the top parts of the shutters to be open and closed independently of the bottom, as well as allowing each to be adjusted separately. They are one of our most versatile solutions and becoming very popular with our customers! We used hardwood from our Cuba Range which is a very durable and rigid solution perfect for a slightly larger window such as this. 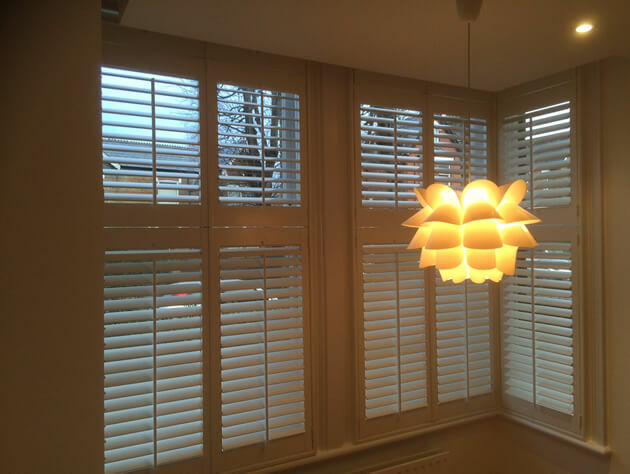 We used 63mm louvres with central tilt rods making adjusting the shutters easy for all in the home, as well as creating a traditional look. They were finished in silk white paint with matching hinges which works perfectly with the existing decor of the room and window frame. By carefully selecting the colour and finish of your shutters they can look like they have always been part of the property!